Are you tired of leaving conferences without new knowledge and ideas? Sick of presentations that are all self-promotion and no content? Want to network with industry experts that have real experience? You've been attending the wrong conferences! 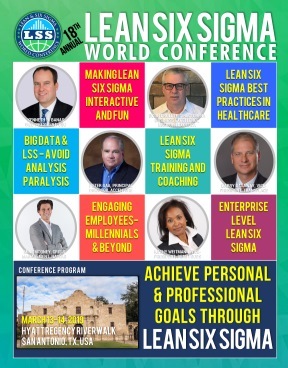 The Lean & Six Sigma World Conference has something for everyone. The Organizing committee aims to have the most comprehensive technical program and training in the field of Lean & Six Sigma.